Stock availability may vary from store to store. 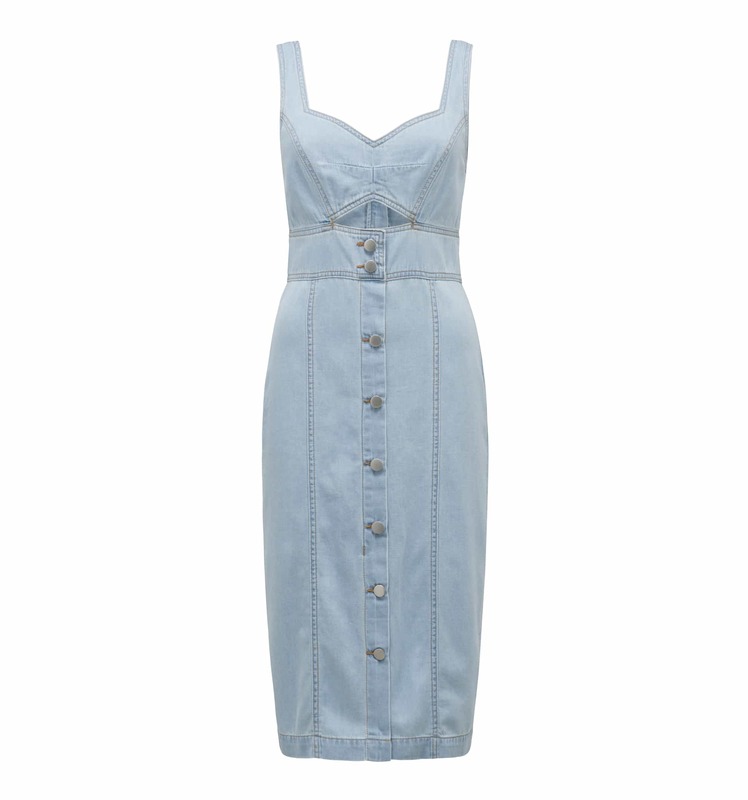 This light wash cut-out denim midi dress is an elevated wardrobe essential. Team with wedge heels and hoop earrings for a polished weekend look.